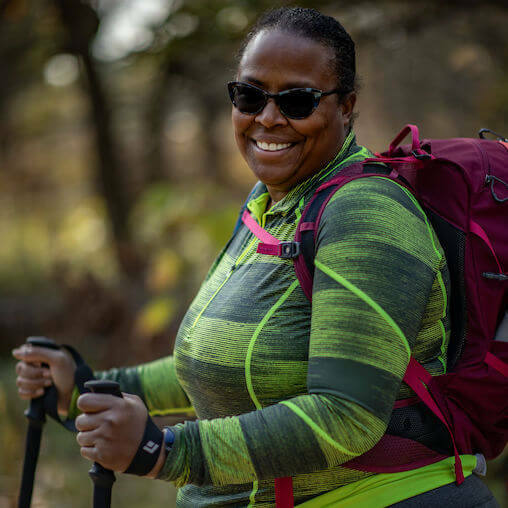 Curvy Kili Crew Bisa had been planning the trip of a lifetime since 2017—until the government shutdown put a wrench in her plan. 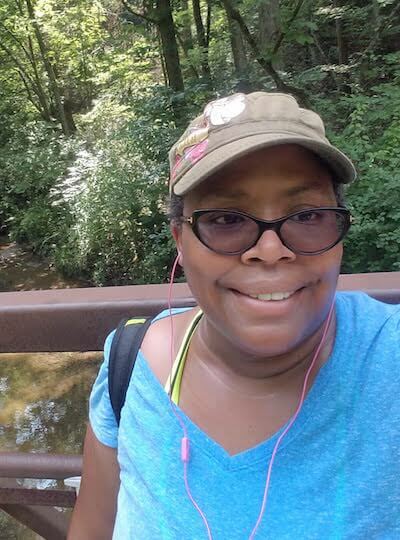 Bisa Myles has been planning her hike up Mt. 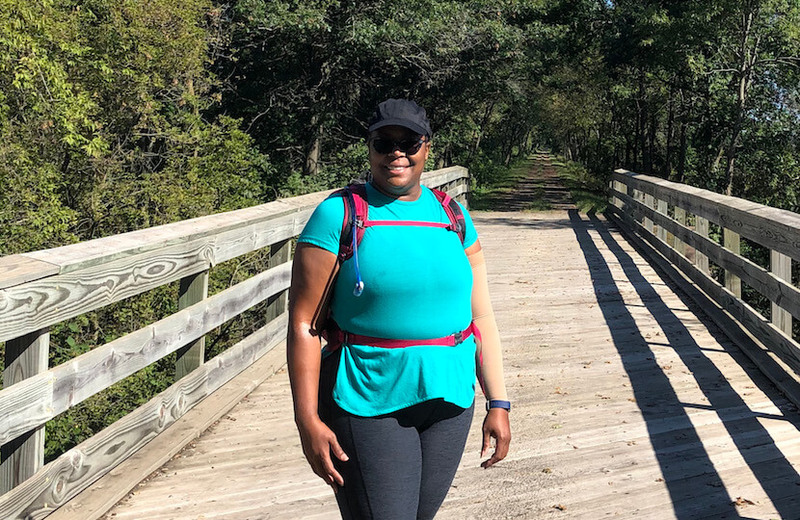 Kilimanjaro with the Curvy Kili Crew since 2017, but as an employee of the federal government, the recent government shutdown almost took away the trip she’s been looking forward to and training for these past few years. Read on to learn all about Bisa’s story below! The latest government shutdown lasted a total of 35 days. While some people didn’t realize it was going on or heard about it in passing, for government employees like myself this has become an all-too-familiar event. We had already been furloughed twice in 2018 alone. Unfortunately, this type of occurrence could happen regularly. The government does not operate like an everyday business—all of the money is controlled and the agencies are given a budget that is funded every year or until a specified date. If a new budget is not agreed upon, they enter something called a continuing resolution. If neither is approved, the government has a lapse in payments. Depending on which branch of government you work for, you are not allowed to work or are required to work without pay. As for me, I was sent home without pay until further notice. I had never dreamed of working for the government. After my cousin died and I became guardian to her three children under the age of eight, 12 years ago, it quickly became apparent that I couldn’t raise three kids alone while working 60 hour weeks at my corporate job. I knew a couple of people who had made the switch from corporate to government positions who suggested that I apply for one. 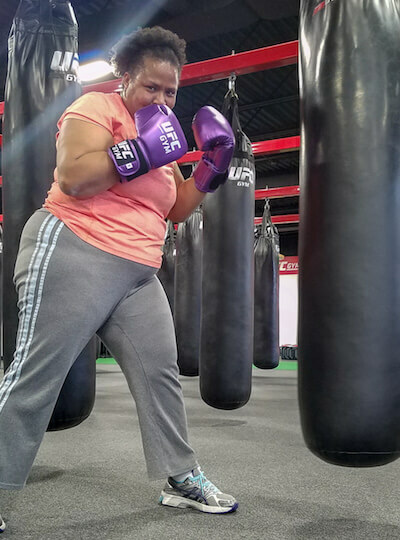 They encouraged me to make the choice by explaining that the flexible work schedule, health benefits, and job security would be the right fit for me and my new family. I agreed that this would be a smart choice, and as soon as there were available positions, I applied and left the corporate rat race. By the end of 2019, I hoped to be an empty-nester. 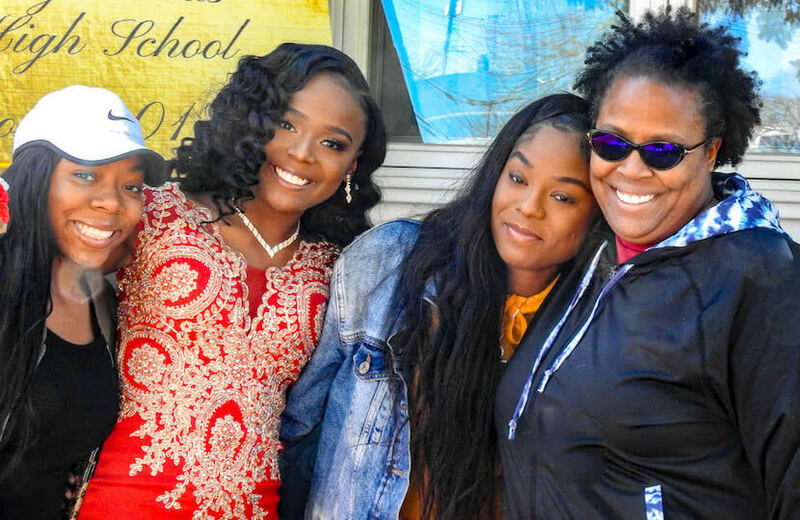 The two oldest already graduated from high school and have or will be moving out soon. That leaves only me and the youngest, Mariah, who will be graduating from high school this June. Bisa training for her hike on Mt. Kilimanjaro with a boxing class. I’ve been working for the government for almost ten years now. I was not around for the shutdown in 1995-96 that lasted 21 days. However, I was a government employee during the 2013 shutdown that went on for 16 days, so I had an understanding of what a shutdown could mean for me. When the lapse in funding started on December 21, 2018, right before the Christmas holiday, I didn’t feel the impact right away. It just felt like I was on Christmas vacation along with Mariah. It wasn’t until after the New Year when I received a pay stub with zeros, and the usual biweekly deposit didn’t happen, that it started to sink in. I wasn’t getting paid. At this point, we were around the 22-day mark, surpassing the length of the shutdown in 2013. Not only was this was going to be the longest government shutdown in U.S. history, but there wasn’t a sign of it ending any time soon. I was starting to feel very stressed because my trip to Tanzania to hike Mt. Kilimanjaro with the Curvy Kili Crew was only two months away. News outlets were predicting the shutdown could last until March or longer. If it lasted that long, it would run right into prom and graduation seasons. We hadn’t even started looking for dresses. Despite what people think, government employees like me find out our fates at the same time as the rest of the world thanks to the media coverage. I became obsessed with reading various news outlets online and traded articles with other furloughed employees. Hiking Swallow Cliff, Bisa trains for the adventure of a lifetime. I had been saving and training for this trip to Tanzania for over a year. Although employees could file to collect unemployment, it was not going to cover all of my expenses. If this event was going to last until March 2019 like predicted, I was going to have to make the hard decision to potentially cancel my trip altogether and borrow money. Although I had invested a lot of time and money on this trip, I couldn’t leave knowing that I could potentially run out of money and even lose the house. I checked my balances regularly to see if I could afford to do both. Most of the trip was already paid for including the plane tickets and most of my accommodations. With some gear still left to buy, I kept checking the list to see if there was anything I could I do without. Day by day, I was losing hope that the shutdown would be over before my departure date of February 25. Some of my family and friends asked if I needed anything. I knew if things got bad, I could rely on them for help. But, how could I keep making plans for a three-week international trip with so much uncertainty looming around me? If I go, I’d be neglecting my responsibilities here. Could I spend money to travel with a good conscience, while knowing that I’m just a couple of payments away from having no lights if this shutdown continued another three to six months longer? I felt horrible hearing some of the stories of government employees who couldn’t fill their prescriptions for insulin and other needed drugs. Some people had to visit food banks to make sure their families had enough food. I am fortunate that I was able to survive the 35 days without seeking help. Whether I was going to Tanzania or not, I was unsure how long I could survive without pay. I had started to look at part-time work to earn extra money. But, I am not allowed to accept a job that could compete with my current profession in accounting which limited me finding any position that could utilize my 20+ years of experience. A friend of mine asked me if I had a date in mind of when I was going to decide whether I was going to cancel my trip or not. I told her I didn’t because I was holding out hope that it was going to end before. Then on January 25, 35 days after the shutdown began, the members of Congress made a deal. Although the funding is only until February 15, 2019, I could put away enough money to ensure the family is taken care of while I was gone and let out a sigh of relief. 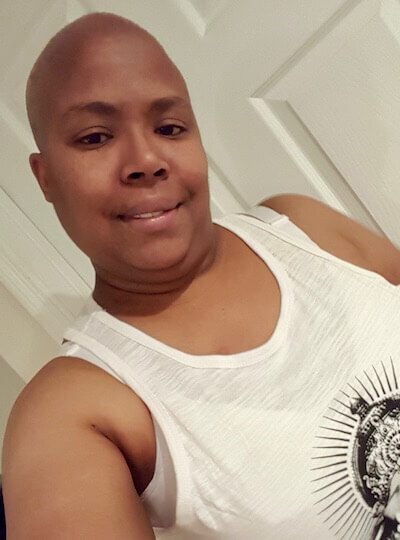 Bisa during her battle with breast cancer in 2016. Since we have been back to work, there have been a lot of employees retiring earlier, and others are finding new jobs outside of the government. I’ve been thinking about doing the same thing for a while now. Not only because of the instability of the position, but I’m ready to move to a new state and downsize from our four-bedroom house to a one or two-bedroom apartment. On the surface this plan seems practical, but the stability that the government used to provide me is being threatened more and more every year. Being diagnosed with breast cancer presents another set of problems I would not have considered before. I now have a pre-existing condition. Since I had medial insurance prior to the diagnosis, I am covered. But if I were to leave my current position now, I’d risk losing my coverage and being forced to pay higher rates. I’m not sure what I’m going to do when I return from Tanzania. I hope to find some answers while I sit quietly on the top of the mountain. Over the next three weeks, I will focus on making sure I have enough layers to wear during those cold nights, making sure I pack enough snacks, and putting together a playlist that can cheer me up when I’m down. 2019 didn’t start the way I had expected it to, but I have a feeling it’s going to be my best year yet.